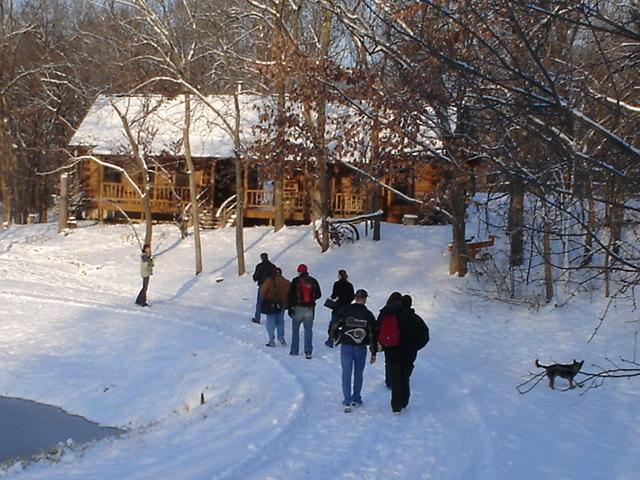 Tall Pony Ranch, owned and operated by Morgan Consulting Group, is located in Parkville, Missouri, nestled in a valley surrounded by rolling oak forests, cattle, horses, sheep, whitetail deer, wild turkey, and bobcat. It is the place where CEO, Peter Leffkowitz’ family calls home. A working ranch training and selling horses, organic lamb and growing its own feed for livestock. Peter and family, along with the help of their foreman, pretty much run single handedly. The unusual part of the equation is that the ranch, until a few years ago, operated on mostly horse power, just draft horses and mules. Hay work, logging, seed bed preparation, snow plowing are all done by teams of Percheron, Belgian draft horses and mules. Herding dogs, chickens, hand-hewn Amish built log cabins, bass ponds, challenging trails and hilltop sunsets are the backdrops. But the ranch extends beyond stimulating elements. This is a real school that achieves measurable results and is accredited toward industry CEUs. The ranch experience is offered monthly for private staffing firm training retreats and 2-3 times per month for recruiter and owner/manager 3 day courses, open to all. The guest book at the Tall Pony Ranch (TPR) reads like the Who’s Who of the Staffing Industry. But, the greatest compliment is that 6 out of every 10 companies who have empowered their recruiters in their three days of secluded private training, have booked their next Ranch visit prior to leaving the property. Each group leaves with the feeling that this is their company’s special place. Their retreat. A place to re-energize, to invent, to question, to intellectually stretch and to add sizable increases to their production revenue. It is a place where owners bring their teams to formally announce and begin their commitment to “the next level.” It is a place where individual “desk” mentality is crushed by a formal system that overwhelms and out powers isolated talent that carries the team. It is where owners take their staff when they decide that their long term financial goals must rely on a consistent system, a consistent methodology, not just a lucky hire. Step through the gates as individuals…walk out with one high performance culture. Tall Pony Ranch. It ain’t no vacation.